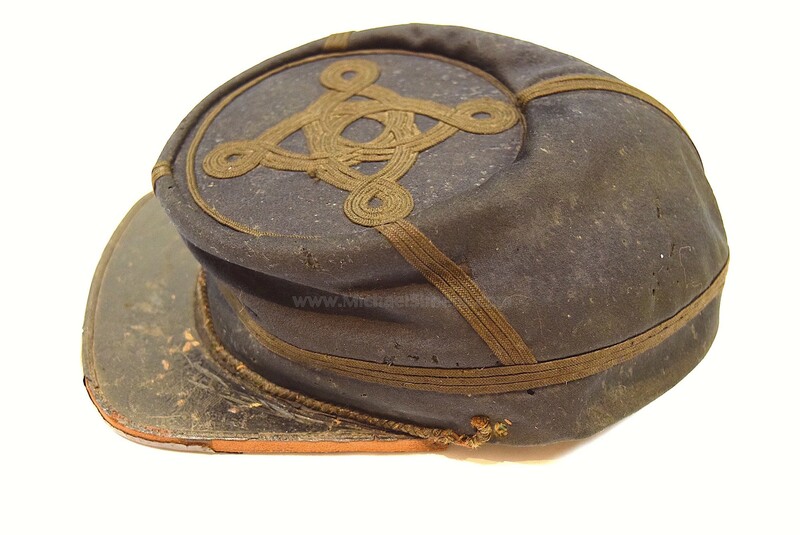 This is a very good condition Union Officers Kepi that retains its original documentation as coming from the direct family descendants of Captain John Rosler (aka Roster, Rossler) of the 13th West Virginia Infantry. 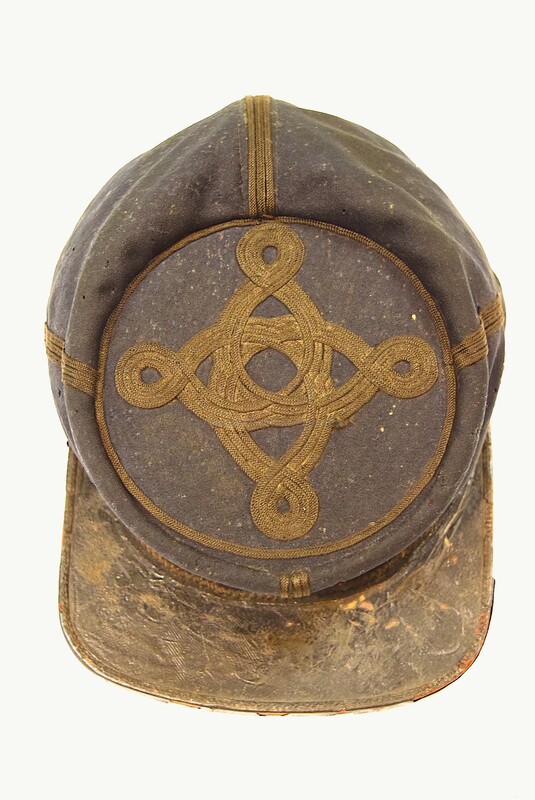 The hat is made of extremely dark blue wool fabric with three rows of gold quatrefoil piping on its crown and retains its original black lacquered brim that appears to have been re-stitched and enforced. It is missing its chin-strap and its buttons, one on each side (sometimes removed by soldiers and which can easily be replaced). 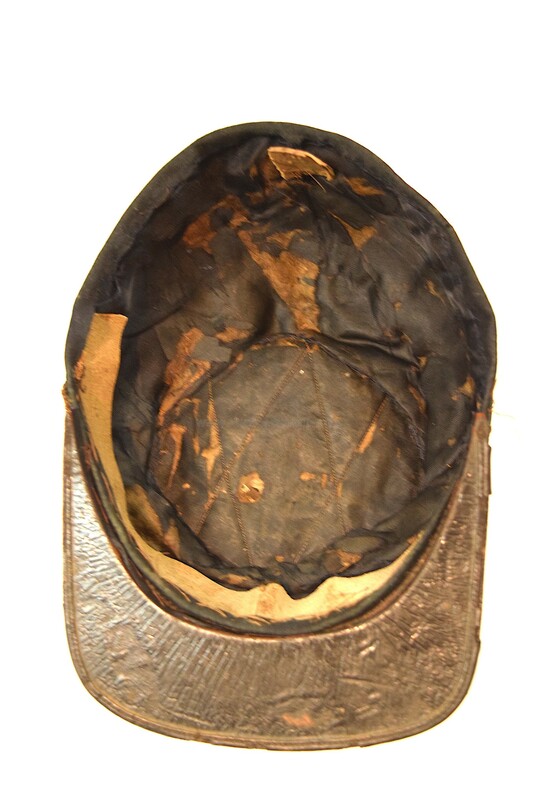 The body of the hat shows some nips and moth damage with some of these showing expert repair under close examination. 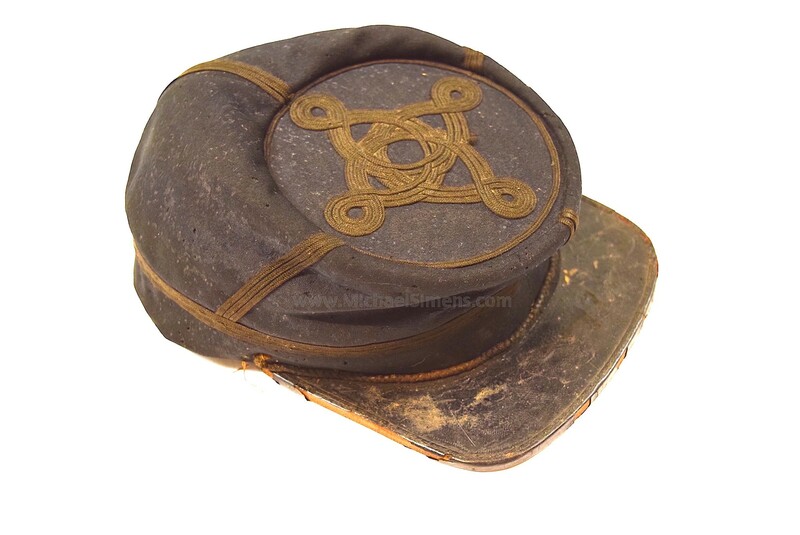 Over-all, it's a really nice looking hat in good condition. 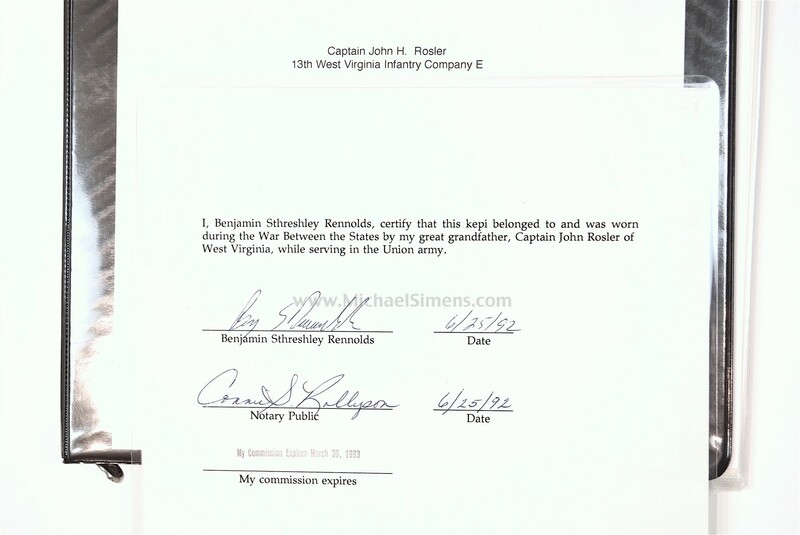 Captain Rosler was with the 13th West Virginia from October of 1862 through October of 1864 and served throughout the Shenandoah Campaign being wounded at Fisher's Hill. Nice hat, ID, history and price. You'll search a very long time to find an ID'd officers kepi specifically ID'd to an officer wounded in action at this price.